A hunting adventure can be quite frustrating without a durable pair of binoculars with which to aid your vision and spot game in any environment. For a pair of binoculars to be worth having, it should be less bulky, produce very quality images and guarantee absolute customer satisfaction. There are a number of binoculars on the market that come with such characteristics, and one such pair of binoculars is the Steiner 10×42 Predator binocular. 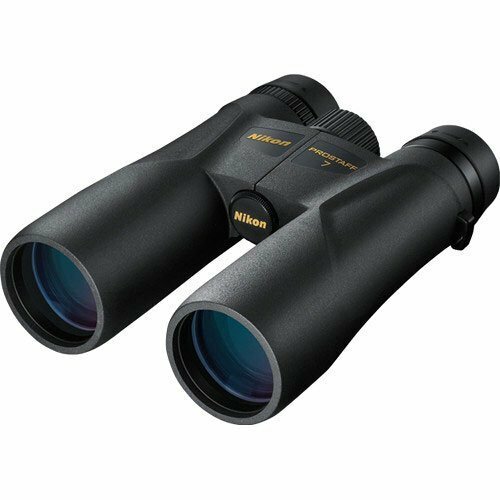 For those who want to take their hunting expedition to a new and exciting level, then the Steiner 10x 42mm 2444 Predator Binocular is worth considering. In this review, we shall take a look at the important features of the Steiner 10×42 Predator as well as the positives and the negatives of owning these binoculars. We shall also try our best to answer most of customers’ frequently asked questions with regards to the Steiner 10×42 Predator. The purpose of this review is simply to help you get a better idea about the Steiner 10×42 Predator so you can easily decide for yourself whether you need these binoculars on your next hunting trip or not. 2.1.1 Q. Who are the manufacturers of the Steiner 10×42 Predator Binoculars? 2.1.2 Q. Where are the binoculars made? 2.1.3 Q. Are the binoculars waterproof? 2.1.4 Q. Are these binoculars fogproof? 2.1.5 Q. How much does the Steiner 10×42 Predator weigh? 2.1.6 Q. What is the field of view of the Predator 10×42? 2.1.7 Q. What is objective lens of these binoculars? 2.1.8 Q. Do the Binoculars come with warranty? 2.1.9 Q. What colors do the Binoculars come in? 2.1.10 Q. What is the magnification of these binoculars? 2.1.11 Q. Can the binoculars be used for activities other than hunting? 2.1.12 Q. Do the Binoculars come with a carrying case? 2.1.13 Q. Can an eyeglasses wearer use these binoculars? With its extremely lightweight roof prism design, the Steiner 10×42 Predator gives its users the ability to easily and comfortably move it from one place to another. Since the binoculars are not bulky, they can easily be placed in your hunting backpack and carried around and they will not come in the way of your hunt. The last thing a serious hunter wants to experience on their hunting trip is a bulky pair of binoculars that keep causing them inconvenience and preventing them from focusing on their hunt. The manufacturers of Steiner 10×42 Predator built it with the famous rubber-armored Makrolon® polycarbonate binocular housing so it can withstand all manners of abuse in the wild. The binoculars are so durable that they are even capable of withstanding an astonishing 11 Gs of impact. Not too many binoculars on the market are built to withstand that amount of abuse. In addition to providing the binoculars with their famed durability, the rubber-armored Makrolon® polycarbonate also helps in enhancing the user’s grip and preventing the binoculars from accidentally slipping when in use. The Steiner 10×42 Predator Binoculars come with CAT™ (color adjusted transmission) coatings whose main job is to enhance any available light in the environment so that even if the binoculars are being used in low light conditions, the user’s eyes can perceive more contrast and see clearly. This is the reason why these binoculars are great for spotting game in any kind of environment, even in the presence of low light. As if the CAT™ (color adjusted transmission) feature above isn’t enough, the manufacturers also engineer the binoculars in such a technologically advanced way that they have the ability to transmit light far better than other similar binoculars out there. According to the manufacturers, the Steiner 10×42 Predator Binoculars can transmit light up to 3-4% better than similar binoculars on the market. As a result of this, users get to enjoy enhanced clarity when using the binoculars in low-light situations where several other binoculars performing very poorly. The Fast-Close-Focus™ central focusing wheel feature that this device comes with enables users to enjoy swift sharpness of images from any distance (from close focus to as far as infinity) with only just a few rotations. Thanks to the N2 Injection™ System that the binoculars are engineered with, they are both fogproof and waterproof. You can therefore use the binoculars to enjoy fog-free images in any environment you find yourself in – from extreme hot environments to extremely cold environments. The N2 injection™ system also allows you to use the binoculars in wet environments without bothering about water penetrating into the binoculars and damaging them or obscuring your view. They are very rugged, reliable and built for abuse. They are remarkably light in weight and easy to carry around. They are fog proof and waterproof. They produce very quality and clear images. They come with the ClicLoc® System that allow for easy and hands-free carriage of the binoculars. They have an optimized light transmission for a better performance in low light condition. They come in only one color, Black. Q. Who are the manufacturers of the Steiner 10×42 Predator Binoculars? A. The Steiner 10×42 Binoculars are manufactured by Steiner optics. Q. Where are the binoculars made? A. They are made in Germany. Q. Are the binoculars waterproof? Q. Are these binoculars fogproof? Q. How much does the Steiner 10×42 Predator weigh? A. These binoculars weigh approximately 26.5 oz. Q. What is the field of view of the Predator 10×42? Q. What is objective lens of these binoculars? Q. Do the Binoculars come with warranty? A: Yes. The Steiner 10×42 Predator Binoculars come with Steiner Heritage™ Warranty, which covers the entire life of the binoculars. Q. What colors do the Binoculars come in? A. You can purchase these binoculars in only one color, black. Q. What is the magnification of these binoculars? A. These binoculars have a magnification power of 10x. Q. Can the binoculars be used for activities other than hunting? A. Yes, they can. These binoculars are very versatile, and can be used for all manners of outdoor activities, including bird watching. Q. Do the Binoculars come with a carrying case? Q. Can an eyeglasses wearer use these binoculars? A. Yes. Whether you wear eyeglasses or not, you can conveniently use these binoculars in any outdoor hunting activity of your choice. 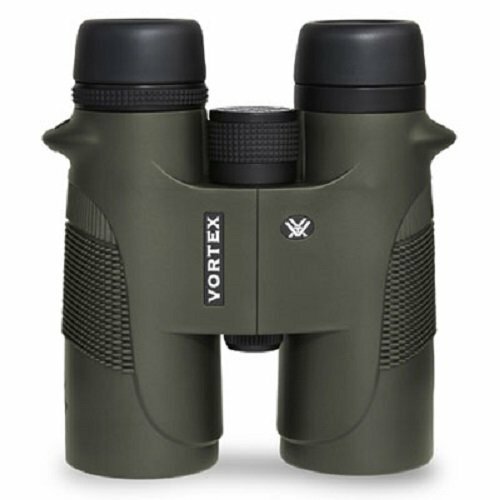 Having read this review of the Steiner 10×42 Predator Binocular review above, you can clearly see that the see that the abundance of technologically advanced features that these binoculars come with coupled with their versatility make them a very useful device for any outdoor activity, especially hunting. So if you are a serious hunter in the market looking for a very durable, reliable and technologically advanced pair of binoculars to purchase, the Steiner 10×42 Predator Binoculars are worth considering.